Operators want to know about trends and how to address them – as in adding more plant-based meals to their menu. Salads, sides and main dishes featuring grilled fresh asparagus is always a customer favorite and would be a natural addition to summer menus and LTO’s. 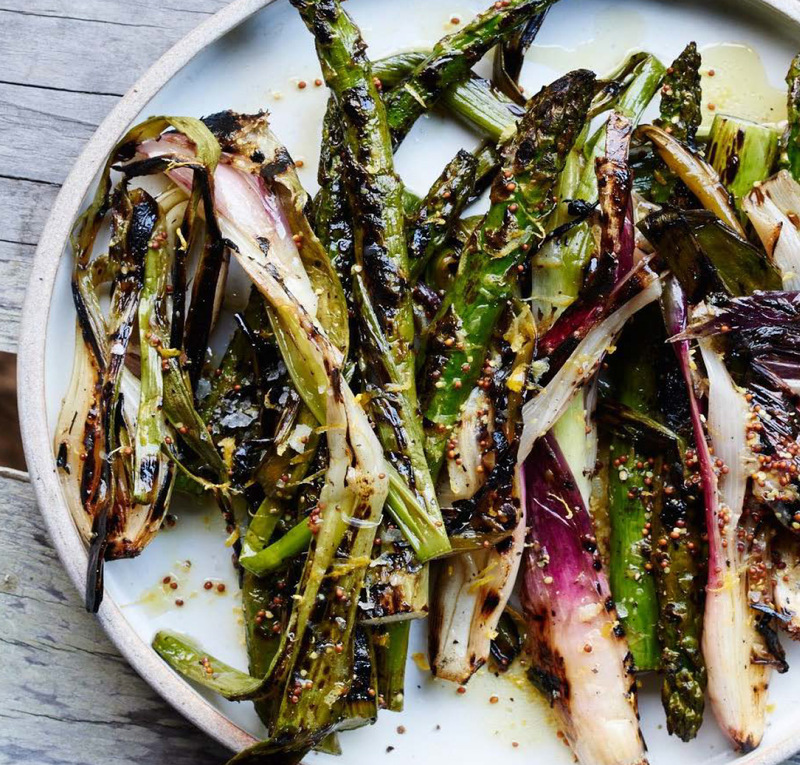 So get your asparagus grill-on, it’s what’s for dinner. DIRECTIONS: Prepare grill for medium-high. Whisk lemon zest, Meyer lemon zest, lemon juice, Meyer lemon juice, mustard, and ¼ cup oil in a medium bowl to combine; season dressing with salt and pepper. Place asparagus and spring onions on a rimmed baking sheet and lightly drizzle with oil. Season with salt and pepper; toss to coat. Grill, turning once, until lightly charred and crisp-tender, about 4 minutes. Serve drizzled with dressing.